Stan Hart, of Bike Friendly South Dallas, teaches the fine art of bike repair at a pop-up event at Juanita Craft Park. Photography by Bret Redman. You start by giving everyone a bike. Groups like Bike Friendly South Dallas prove just how much we need earn-a-bike programs. 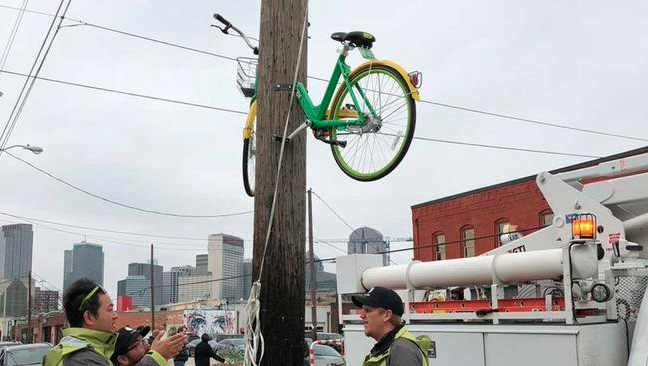 The thousands of dockless rental bikes that rolled onto the streets of Dallas this last year have proven just how far the city has to go to become truly bike friendly. And not just in terms of infrastructure, although 19 miles of buffered bike lanes in the entire city don’t come close to cutting it. It was touched on during a City Council discussion of the regulations earlier this month, when a council member posed a question on the “hacking,” or theft, of rental bikes. It was a tactful way to bring up a complaint that’s been made much less politely in recent months on neighborhood groups on social media, where I’ve seen more than one reference to “bum bikes.” The complaint is that people are breaking the locking mechanism and GPS on these rental bikes, thereby claiming them as their own. The implication—and sometimes it’s not subtly implied—is that poor or homeless people are stealing share bikes and using them to criminal or nefarious ends. Another council member at that meeting pointed out, correctly, that plenty more crimes are committed using cars, or feet, as a means of transportation. Nobody came out and asked what exactly is so nefarious about riding a bike, anyway. But let’s assume that the complaint in this case is not about “mess,” because there’s nothing inherently messy about riding a bike. Let’s also, maybe too generously, assume it’s not about someone’s distaste for seeing a person who can’t afford a car—or in some cases a credit card and smartphone—riding a hacked share bike around town. The complaint could be about protecting the private property of a company whose business model revolves around leaving its products up for grabs in highly trafficked public places, although that doesn’t seem to get to the point of all this. Pull back all the complaints about cleanliness, and the heart of the bike mess is really about responsible bike ownership, about providing decent transportation options to everyone, and about changing the culture of a city whose residents are too often hostile to the idea of sharing the road with anything on two wheels. A city that prioritizes the convenience of car owners over equitable transportation. A city that will grudgingly welcome bike share companies, but has few bike programs of its own. Where trails may get funded, but inner-city bike lanes and bike transportation infrastructure are an afterthought. There’s your mess. If that’s the case, then here’s one way to work toward cleaning up the mess: Let’s start giving away bikes. 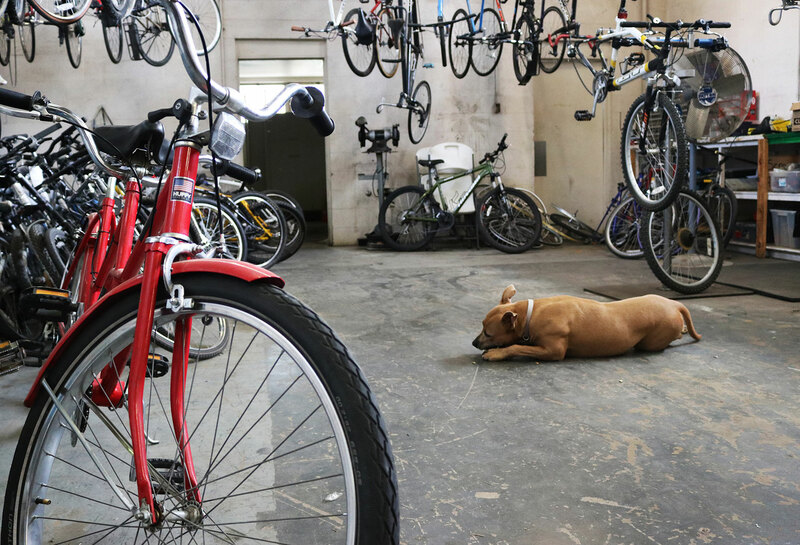 The Mercy Street Bike Shop welcomes people and dogs. Photo by Asharhri Falls. Will Harris runs the Mercy Street Bike Shop, housed in a garage behind the Christian ministry’s West Dallas headquarters. Mercy Street matches mentors with young people in the area, pointing them toward activities that include recreational sports leagues, a T-shirt printing program, even a dine-in restaurant. Harris’ mother brought him to Mercy Street more than eight years ago, encouraging her son to volunteer for one of the various programs. He was drawn to the bike shop. The mood was easygoing and approachable, which seemed like a good fit for someone who didn’t fit the “buttoned-up, starched-shirt type” you sometimes imagine volunteering for charitable religious youth groups. Harris, who didn’t have much experience with bike repair or mechanics, felt right at home. Today Harris has made the garage his own. His dog walks the floor, navigating through the dozens of bikes that line the walls and hang from racks, while Harris chats with a graduate of the program, now a volunteer. In the last eight years, Harris has worked with about 300 kids at Mercy Street. They learn why riding a bike is such a blast, and some of the other benefits: the low cost compared to maintaining a car, the sense of adventure, the exercise. In the shop out back, he teaches young people how to repair donated bikes, how to ride safely, how to change tires and replace chains. He takes them on “bike camps,” rides to the Trinity levees and to Fair Park. In the process, they learn some more intangible things, about self-reliance and responsibility. Working on a bike requires patience, an attention to detail, a willingness to stick with it. They learn that perseverance often pays off. After participating in the weeks-long program, students get to keep the bike they’ve worked so hard to repair and restore. “You give them a bike, and you give them this sense of freedom,” Harris says. Running the shop costs about $90,000 a year, Harris says. This is enough to cover utilities, bike parts, and the wages of two to three staffers. All of the bikes themselves are donated, many coming from Lower Greenville’s Transit Bicycle Company. 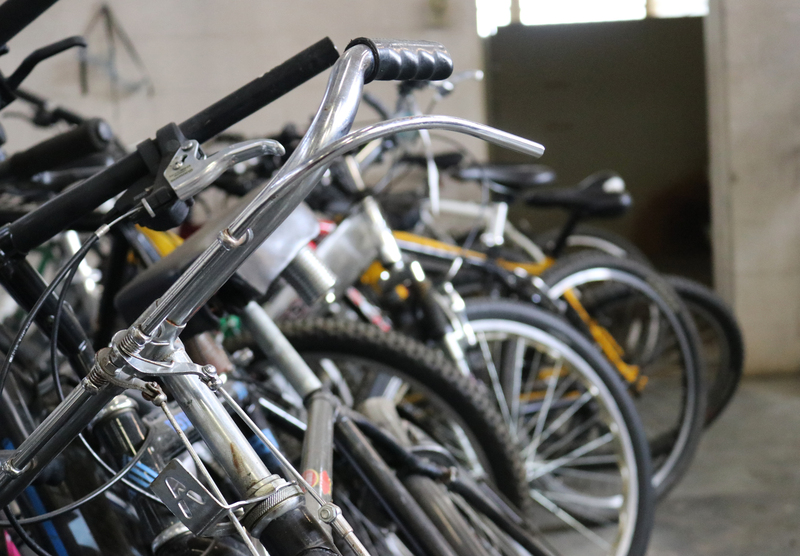 There is no shortage of old, donated bikes for the kids in the Mercy Street Bike Shop to repair. Earn-a-bike programs like this one can be found around the country, in some places as part of a nonprofit community bike shop. In other cases, as with Albuquerque’s city-run Esperanza Bicycle Safety Education Center, there is public funding involved. While Mercy Street’s program is youth-focused, others elsewhere in the country cater to adults with no other means of transportation, or to the homeless. In other words, earn-a-bike programs are for the people who could benefit the most from affordable transportation: the young, the poor, and the needy. “You’re investing in the well-being of a community, and in people who need to have a reliable source of transportation,” Harris says. Which leaves the Mercy Street Bike Shop, with its exclusive focus on young people in West Dallas, as the only real earn-a-bike program to have a shop in town. For now, at least. Bike Friendly South Dallas helps fix up bikes at a pop-up at Juanita Craft Park. Photo by Bret Redman. Ashly Fields started Bike Friendly South Dallas in 2012, leading group bike rides and hosting bike-centric events in the neighborhood. 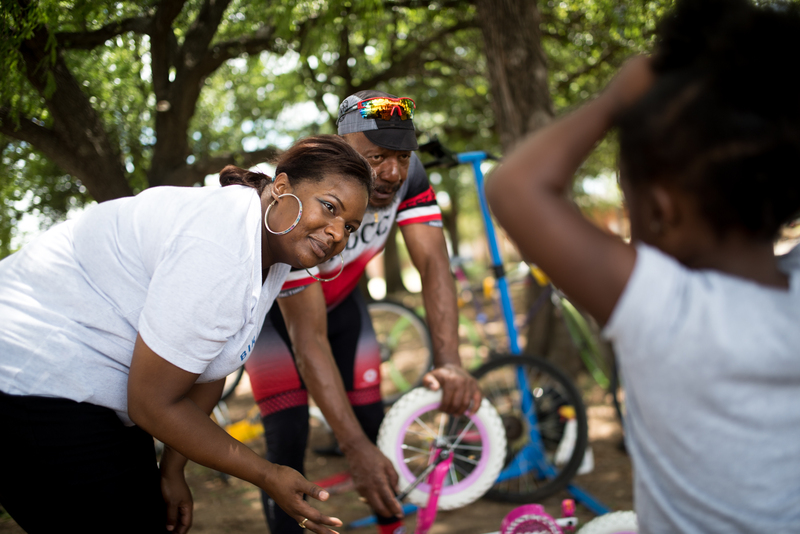 The group incorporated as a nonprofit in 2016 after Fields met Stan Hart, a Dallas cyclist who wholeheartedly adopted as his own the mission of Bike Friendly South Dallas. 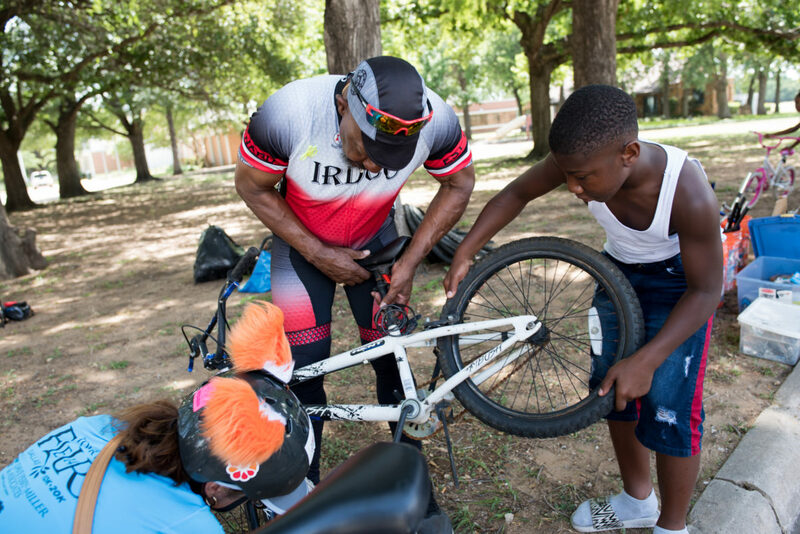 With no permanent home base, the organization now hosts pop-ups around South Dallas, fixing bikes and offering maintenance instruction. During the first three pop-ups, Hart estimates that volunteers fixed about 100 bikes. The 14th such pop-up was held at Juanita Craft Park last Saturday, following a community ride. A young teenager showed up with a bike that was in bad shape. After an attempt at service, the Bike Friendly volunteers decided it was beyond repair. They told the kid to come back to the next event to get a replacement bike. He stuck around for the rest of the pop-up regardless, happy to be a part of the group. A few adult men came to change the tires on their bikes and to get some help when they needed it. A girl had the training wheels on her pink bike removed, and got some tips on how to ride without them. Other children were invited in to the de facto “shop,” as Hart and the other volunteer mechanics asked them if they were interested in learning how to fix their bikes. The bikes are a vehicle for connection and for education. Connection and education are important, even for the children who already have bikes. Sometimes, usually around Christmas, a deep-pocketed do-gooder may make a show of donating bikes to children in South Dallas. It’s a kind gesture, Hart says. “But two weeks later, they have flat tires, busted chains,” and other problems that the kids and their families either don’t know how to fix, or can’t afford to fix. That’s where Bike Friendly South Dallas steps in, supplying the parts and the instruction necessary to keep those bikes in shape. “There’s nothing like the smile that are on these kids’ faces when they get their bikes rolling again,” Hart says. There is a line from the head of the League of American Cyclists that Hart likes, a riff on the old “teach a man to fish” adage: “Give a kid a bike and you’ll watch him ride for a day. Teach a kid to fix his bike and he’ll ride forever.” And Bike Friendly South Dallas isn’t just teaching young people how to fix bikes. The kids who come to the group’s pop-ups may not grow up to be bike mechanics, Hart says, but they’re learning communication skills and patience, as well as lessons in entrepreneurship and self-reliance. They’re becoming part of a community, interacting with their peers and with adult role models. The group is trying to find a permanent home in South Dallas, a central place for neighborhood residents to bring their bikes in, take classes, and refurbish donated wheels as part of an earn-a-bike program. Volunteers could help out at the shop, which wouldn’t just be the only community bike shop in South Dallas. It would be the only bike shop at all. As with so many other things, from grocery stores to healthcare clinics, many of the services residents take for granted are missing in South Dallas. Creating a community bike shop is a step toward making the city, and how people get around it, more equitable. At a pop-up event at Juanita Craft Park, volunteers with Bike Friendly South Dallas helped fix the bikes of neighborhood residents. Photography by Bret Redman. There is a clear demand for affordable transportation, and for a community bike shop, in South Dallas, Hart says. Canvassing the neighborhoods south of Fair Park one day, he says he counted 75 bikes in various states of disrepair in yards within roughly three blocks. Look around those same neighborhoods today, and you’ll see plenty of cyclists using the cheaply made dockless rental bikes. The pop-ups have their advantages, in that volunteers can reach people where they are. Even if Bike Friendly South Dallas finds a permanent home, the rides and pop-ups would likely continue. But the group can’t realize many of its ambitions, including a robust earn-a-bike program, without a shop. Volunteers need to be able to market the group, to let South Dallas residents know they can go somewhere to have their bikes repaired. As is, the pop-ups are marketed largely by word-of-mouth and with flyers at neighborhood businesses, which can have a limited reach. Hart says Bike Friendly South Dallas has been in touch with the city as it looks for an appropriate building in the community. “They know we’re here,” he says. There was an old fire station that was ideal, but went to another group. Other buildings have been available, but not in South Dallas—a clear dealbreaker. The group has volunteers in droves. What it needs now is funding, although Hart is loathe to begin drumming up donations until Bike Friendly South Dallas can find an available and affordable space. Bikes lined up at the Mercy Street Bike Shop. Photo by Asharhri Falls. As the city prepares to adopt bike share regulations, it should take the moment to learn how Dallas could become more bike friendly. Perhaps it should think a little more boldly. Those regulations, in their current form, are based on a fee structure that would essentially pay for the cost of regulation, and nothing more. Dallas may be missing an opportunity to fund other programs that can help improve mobility for its neediest residents. It doesn’t cost much to run a community bike shop. Dallas is making strides in becoming more bike-able, but moving around the city on two wheels can still be a miserable experience. Harris, the Mercy Street coordinator, jokes that “If you want to hate Dallas, ride a bike.” But in almost the same breath, he talks about riding around the city and getting to know Dallas better and more closely than he could have imagined before he found the bike shop. He talks about the kids who have become healthier, more engaged, and more mobile because they learned how to fix up a bike. A bike friendly Dallas doesn’t just have longer trails, more East Dallas dads speeding around White Rock in lycra before putting their $1,000 bike on the rack attached to their car. It doesn’t just have dedicated bike lanes. A bike friendly Dallas will put bikes in the hands of kids in South Dallas and homeless people downtown, as well as in the hands of the doctors and lawyers in Preston Hollow. A bike friendly Dallas will make riding a bike and being able to take care of one go hand in hand. The words “bike mess” will never need to be said again.